Civil Rights Defenders strongly condemns continuation of systemic discrimination of the Lesbian, Gay, Bisexual and Transgender, LGBT, community in respect to the right to peaceful assembly and freedom of expression in Bosnia and Herzegovina, and demands from authorities and public institutions in the country to fully respect these rights. “The lack of approval for LGBT persons to carry out public events is a violation of the Article 11 of the European Convention of human Rights. 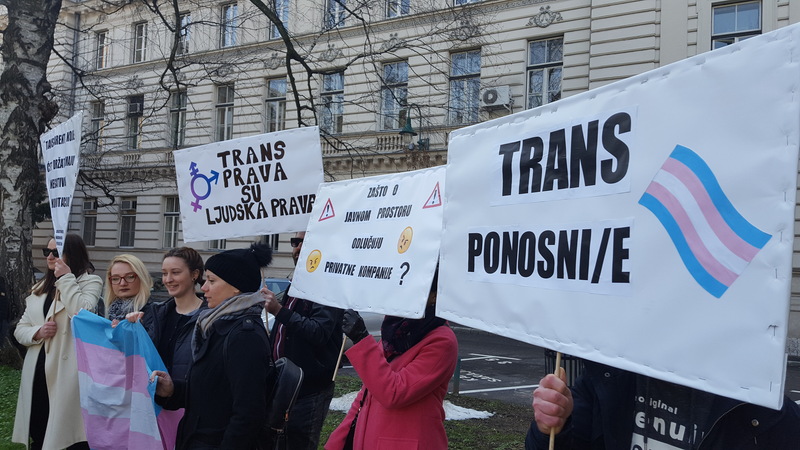 Freedom of peaceful assembly must be secured for all citizens of Bosnia and Herzegovina, regardless of their personal attributes,” says Ena Bavčić, Programme Officer at Civil Rights Defenders. This is not the first attempt of local authorities to prevent LGBT assemblies – the same happened in May 2017 when SOC planned to organise a march in protest to the widespread violence against LGBT persons. In its statement, Sarajevo Open Centre elaborated how the discriminatory criteria was applied in assessing which group of citizens will be allowed to access public space that already belongs to all citizens. This is in direct collision with non-discrimination principle enshrined in Convention. Civil Rights Defenders expects from local authorities to investigate the illegitimate decision-making process for allowing peaceful assemblies, and find adequate solutions and provide alternative date for the assembly. Further on, we demand concrete actions to be taken in order to prevent similar discrimination in the future. Right to peaceful assembly applies to everyone, and states have obligations to take measures in order to ensure that this right is protected without discrimination against any group or member of society.